Go for the gold! 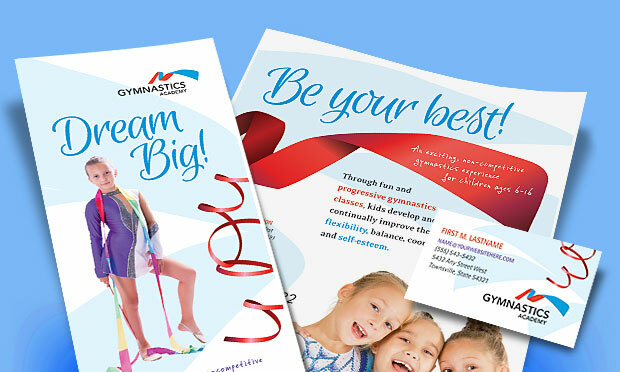 Create eye-catching brochures, flyers and posters for a gymnastics academy that are sure to get noticed and boost membership. 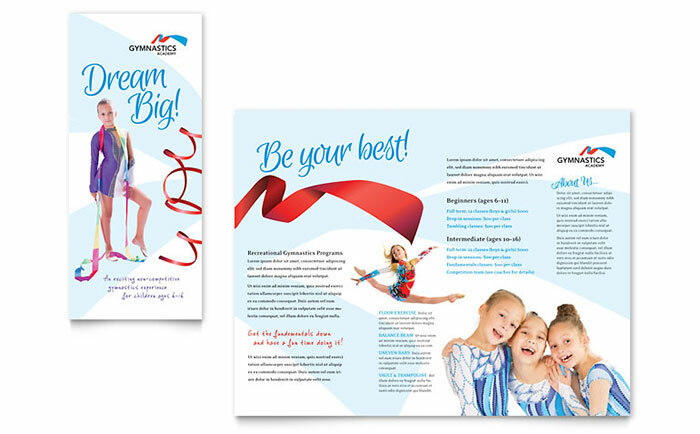 Promote camps, classes and lessons with these design templates from StockLayouts. 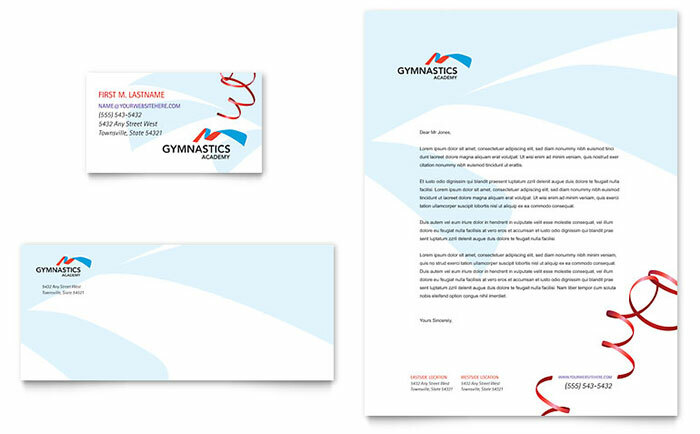 View more graphic designs for sports and fitness from StockLayouts. 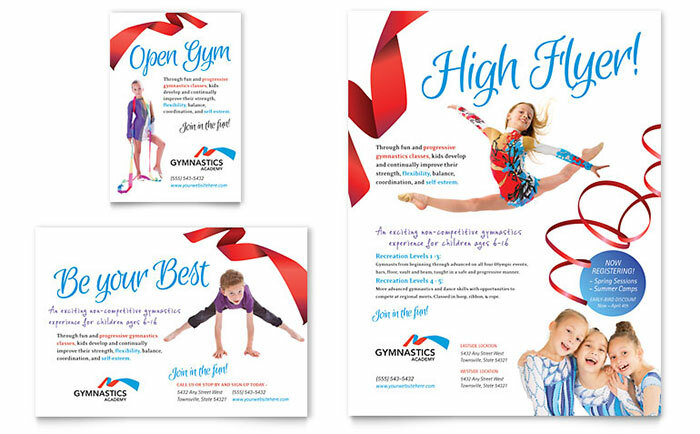 Create sports and fitness marketing materials with Microsoft Word & Publisher templates at LayoutReady.com. Love the clean work! 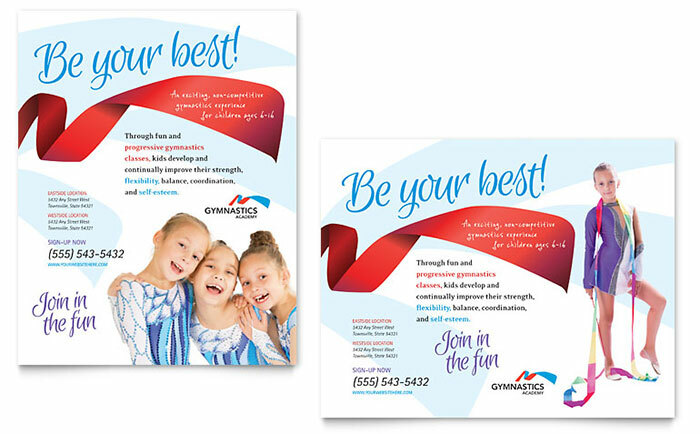 Much inspiration for the graphic designers in these business promotional materials.. Superb keep it up! !